Watch as our private tutoring sessions help your child regain their confidence in math! I’m the founder of Algebra, Geometry & Basic Math Tutoring. My goal is to eliminate confusion, with individual, one-on-one instruction at your home. 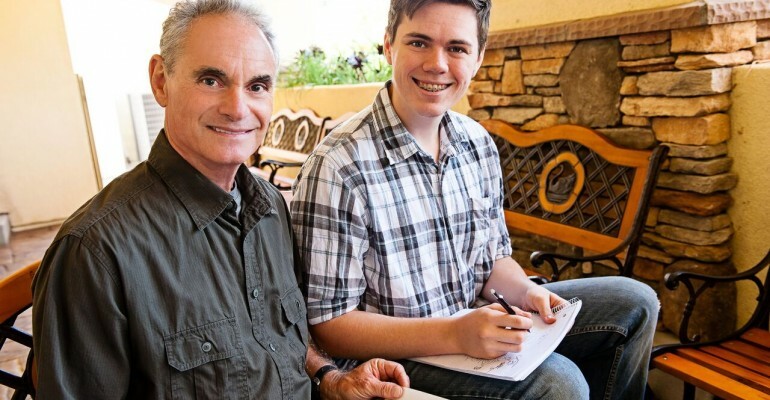 I’ve got 17 years of math tutoring experience in the North County San Diego area, including Carlsbad, Encinitas, La Costa, Leucadia, Oceanside, Rancho Santa Fe, San Elijo, San Marcos, and Solana Beach. I provide Common Core math tutoring, including Pre-Algebra, Algebra, Algebra 2, Integrated Math 1 & 2, and Geometry. Algebra and Geometry are two areas where even kids who are strong students can hit a wall. Fear of failure can cause them to shut down and lose their motivation to try. This can be tough on parents, too, because even if you consider yourself a “numbers person,” the Common Core’s “new math” can be a challenge—it’s quite different from how we were taught in school. I have the experience and empathy to help struggling students, and know how to be effective in helping them learn, grow, and succeed! - Feel safe to ask questions. - Not be afraid to make mistakes. - And have fun doing it! We love Darryl ! Rarely does a find come along like Darryl. He is much more than an adept tutor with all the necessary academic qualifications…he took our daughter through all required years of High School math.His approach was first of all to genuinely care, then to listen, to assess and then to impart the knowledge in a way that allowed our daughter to fully accomplish all that was required of her. Thank you Darryl! Darryl loves what he does. His caring and genuine interest in his students’ success is apparent. I would strongly recommend him to anyone needing tutoring assistance. I have used this style of teaching in my seventeen years as a tutor, and it’s brought great success. Let me help your student go from confusion to comprehension!